If you haven’t taken advantage of Disney’s Water Transportation system, you’re missing out! There is something so spectacular when hopping aboard a boat or ferry at Disney and letting a Cast Member transport you to your destination while you sit back and enjoy the scenery. Here are 6 things we think you should know as you begin your short voyage! Surely you’ve heard about Disney’s Monorail transportation, and you’ve also likely heard about or ridden on Disney’s Bus transportation – but don’t forget about their large fleet of boats and well-organized Water Transportation. Water Transportation is readily available to any guest at Disney World, but is especially convenient for resort guests. Wheelchairs, electric scooters, and strollers are all welcome aboard but may be requested to be folded and/or parked as needed. The boats/ferries are maned by excellent Cast Member Captains that usually share information such as operating hours and the weather as you cruise along. We’re also happy to report that there is no extra charge to ride on one of Disney’s transportation boats. Hours of operation depend on the boat location but typically match theme park hours (with a couple of hours before and after park opening/closing) and/or Disney Springs hours. Boats typically run somewhere between every 15-30 minutes – of course timing all depends on water traffic, weather, and crowds for the day. Several of Disney’s Resorts have boat transportation options for their resort guests. Port Orleans (Riverside and French Quarter), Old Key West, and Saratoga Springs all off resort guests water transportation to and from Disney Springs. 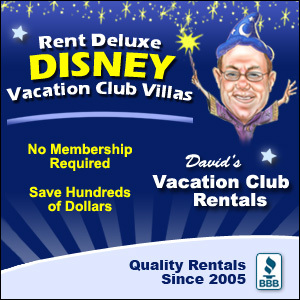 Seeking direct access to Magic Kingdom from your resort? You’ll want to look into staying at any of the following: Grand Floridian, Contemporary/Bay Lake Tower, Polynesian, Fort Wilderness, or the Wilderness Lodge. These resorts provide you with a direct water taxi to Magic Kingdom. If you are looking for direct access to Epcot and/or Hollywood Studios from a resort, look into staying at Board Walk Inn, Beach Club, Yacht Club, or the Swan and Dolphin Resort. Catching a boat just feet away from your resort room to Magic Kingdom, Epcot, Hollywood Studios, or Disney Springs is such an incredible resort perk when you are looking to avoid bus or monorail transportation! As stated about, several Disney’s resorts will take resort guests directly to and from theme parks and even Disney Springs, but how does Disney’s Water Transportation benefit non-resort guests? Let’s say you drive in to enjoy a day at Magic Kingdom. You’ll be parked at the TTC and offered two (sometimes three) options to Magic Kingdom. The monorail, the ferry, and sometimes the bus system during crowded times. The monorail seems to have an instant rush because of course people are thinking monorail because it’s faster. Sure – in a race between the monorail and the ferry boat side by side, the monorail would win! But, the monorail is not always the faster option at the TTC. Head to your far left and you’ll see the enormous ferry boat. Loads of people can fit on this boat that will take you directly to Magic Kingdom. While the ferry does get full, it is far less crowded than packing everyone on the monorail. Plus, our favorite part is the scenery as you cruise along towards Magic Kingdom. See incredible Resort and Magic Kingdom views along the way. We particularly recommend the ferry from the TTC to Magic Kingdom if this is your first trip. The ferry just makes the experience even sweeter! You’ll see resort guests taking advantage of the water taxi to dock at Disney Springs, but how does that benefit those just visiting Disney Springs for the day? Well, save those walking legs! Disney Springs has two docking locations – one on the West Side and one on the Marketplace side. Instead of making the trek from one side to the other by foot and through the crowds, check out the boat transportation system. You’ll enjoy the break and if your kids are with you, they will think it’s a fun ride for the day! If you’re visiting Magic Kingdom, Epcot, or Hollywood Studios but not a resort guest, feel free to go resort hopping via Disney’s Water Transportation! We also find water transportation for certain dining reservations helpful. For example, say you are visiting Magic Kingdom but have an evening Hoop Dee Doo Musical Revue dinner reservation at Fort Wilderness. You’ll be able to catch a boat directly from Magic Kingdom to Fort Wilderness – as easy as pie! Simply planning ahead and taking advantage of Disney’s Water Transportation can save you a lot of time and energy. Beat the crowds! In our experience, we find if you move all the way to the back or front of the boat (depending on where you load) you’ll find more space and seats. Everyone seems to huddle next to the entrance and exit areas in hopes of being the first ones off the boat/ferry. We say let the crowd rush out! You are all getting there at the same time anyway. Be prepared to fold your stroller when boarding any form of water transportation, although on boats that aren’t crowded, the Cast Member may just simply ask you to lock the stroller breaks. Last tip – be on the lookout for rain. Water transportation may stop to and from a destination or potentially just leave you wet with rain if you get caught up in a Florida storm! Whatever you want to call them – boats, ferries, water taxis, magical destination ships – have a fun time taking in the sites and listening to the water hit the boat sides as you cruise along to great things to come!